This is why using long tail keywords in your blog content pinpoints that audience you want to attract. This simply refers to keywords and phrases people type into search engines when they know exactly what they’re looking for. Meet them here, and you’ve hit the bull’s eye. At worst you have a new visitor to your blog. At best, you have a long-term loyal follower/customer who looks to you as a trusted authority. How do you expect to make money blogging if you don’t sell? Simple: blogging is not about selling. Blogging is not a sprint, especially if you want to make money with your blog. Building an audience and steady traffic takes times. You learn my doing. Show your passion and expertise. Remember what I said earlier about the long-term goal: attract and build a following that looks to you as an authority. This is an incredibly powerful aspect of making money with your blog, because people who like and trust you actually WANT to do business with you. 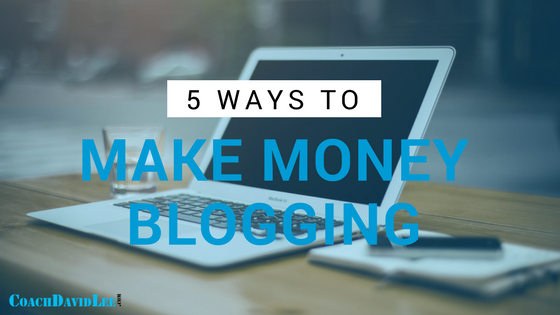 One of the most common ways to generate money with your blog is to run ads. It’s my least-favorite way, but we’ll cover it anyway. Google Adsense is the most popular ad network online. It’s free to set up at Google.com/adsense. 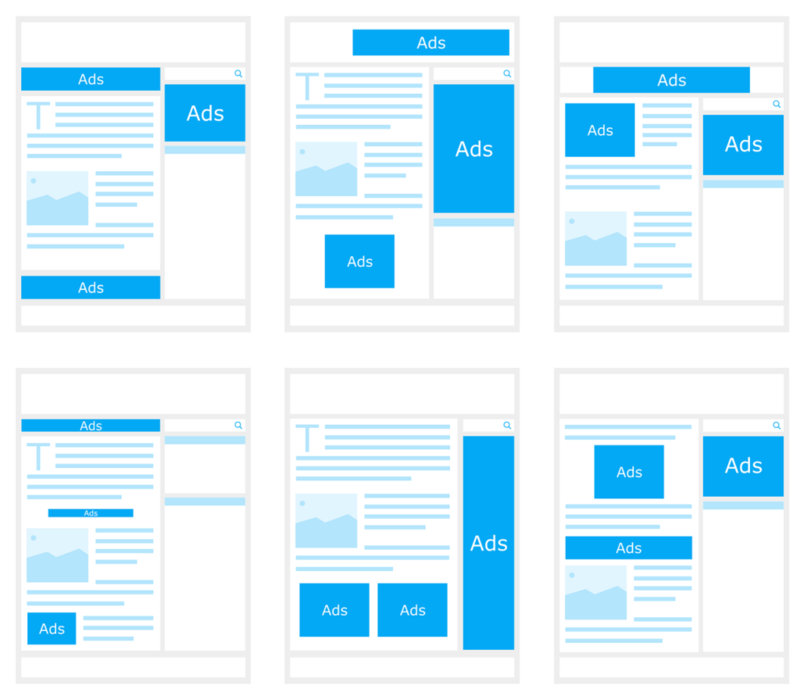 The program lets you decide where on your site to place ads. For example, you can have them placed in the header of your site, on a sidebar or within a blog post. The ads are automatically targeted to the visitors of your site. In other words, each visitor sees something different. You don’t have to update the content of the ads. Essentially, you earn money based on the number of views and clicks the ads get. So, the more blog traffic, the better. Using email marketing to consistently send people back to your website also helps increase traffic for more exposure to ads on your blog. Another way to run ads is to partner with a company or business to sell them ad space for their product or service. Charge a fee depending on the size of the ad, the placement and duration. Entrepreneurs-Journey has a great guide on how much to charge for ads. If you do this, please PLEASE promise me you will choose ads that bring value to your audience. Make sure it’s something they will like or need. Oh, and DO NOT overdo it on the ads! They can get annoying, and your site can look salsey and cheesy. That will do more damage than good. This is my favorite blog idea to make money. Why? Because affiliate marketing the most natural way, and it almost always forces you to provide value to people. It’s also an awesome way to build relationships (which is invaluable). No matter what you are blogging about—fashion, travel, health and fitness, online course, Star Wars toys, vintage board games—there is likely an affiliate opportunity that would match your blog and audience. You blog about certain topics or products (bring value, educate, entertain, etc.). You add affiliate links (unique to you) within your blog or somewhere on your website to a certain product or service your visitors can buy or sign up for. You earn the commission on the sale. Of course, you first have to sign up for the affiliate programs you are interested in. Why did I say earlier that affiliate marketing forces you to provide value to your visitors? Because you have to communicate value. This is why understanding your specific audience and writing to serve that audience is so important. The purpose is to educate and provide guidance, advice and expertise. Again, selling is not the point. Example: You blog about what you did to lose 10 pounds in the last month. Maybe it’s a journal you kept over the last month. Let’s say part of your new routine is taking a supplement. Near the end of your blog you can link to (using your affiliate link) the supplement if anyone is open to trying it. Why it works: You are providing value to your readers and focusing on the RESULTS you got. Then you are recommending a product that helped you get those results. There are nearly an endless amount of affiliate programs out there. A good place to start is by thinking about products or services that you already like and seeing if there is an affiliate program for them. Direct sales or network marketing companies are also good sources for affiliate marketing, especially in the health and wellness space. Nearly all of them will provide you a unique link for referring their products. Just be sure to read their policies and procedures first, because some are tight about marketing online. Creating your own products can also be a rewarding way to monetize your blog. Whether it’s crafts, food, artwork or digital products such as ebooks, audio programs or online courses. Blogging about and selling your own products nets you a lot more profit because you are not splitting commissions. Plus, digital products do not have any physical overhead cost. You may even allow other people to market some of your products and pay them a commission. This approach is a big debate among bloggers. But like anything else on your website, it depends on your audience. It also takes a while to build a following willing to support you with donations or pay to subscribe to your content. If you are consistently putting out valuable content and have patience, it can work well. I can’t tell you how many times I have bought something from people who I have gotten value from, just as a thank-you for what they have taught me. Even if it’s just a $10 book or enrolling in an online course, I feel guilty for NOT giving them something or buying form them because of the incredible value they have already given me for free. If you ask for donations or paid subscriptions to your blog content or email newsletter, offer some reward or give away. Maybe it’s a free 30-minute training session or a discount on future products. Maybe you can partner with a store that your followers go to and offer a discount code. If you’d like to see what I offer for monthly donations and support, click here for my Pantheon profile. 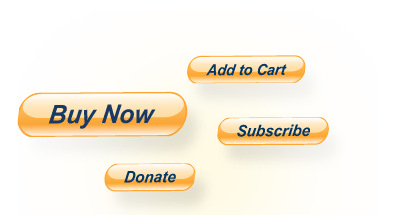 Another option is to create PayPal buttons for your site so people can donate. Give them some options with different levels of rewards. I hope that gave you some great ideas. If you’d like to bounce some ideas off of me or just let me know what’s working for you, please contact me here. Great tips. You’ve given me some ideas to implement in my blog. Thanks for sharing. Wow thank you so much!! This is an extremely helpful post for beginners!